UPDATE: I figured out how to dupe kits quickly. 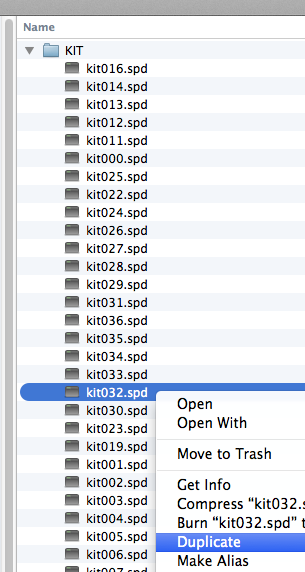 Just duplicate the .spd file in the kit folder. Make sure you rename it kitXXX.spd. Kit 1 is kit000.spd so subtract one from the filename. Because Roland’s SPD-SX Wave Manager is so terrible. 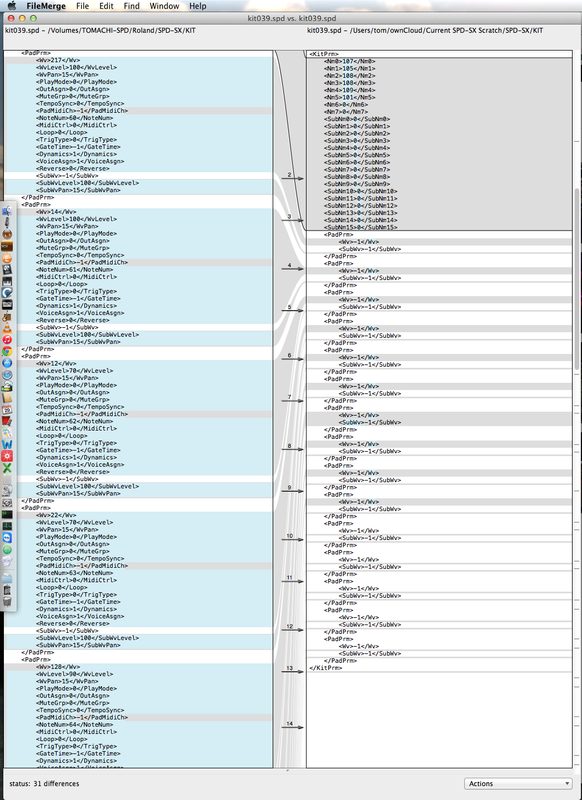 So here we go trying to reverse engineer the XML format by comparing how the unit changes the kit files! Hopefully I can find somebody to show me how to setup an open source software project. Post by tomachi, posted on March 29, 2015 at 8:44 pm, filed under Music Business. Bookmark the permalink. Follow any comments here with the RSS feed for this post. Both comments and trackbacks are currently closed.